We have some REALLY exciting news for you! Ruby + Swallow is going to be exhibiting at the La Lucia Bridal Fair this year in February. Our excitement levels are at an all time high, and we can't wait for our first ever bridal fair! As we mentioned on Monday, we've started this year with a brand new set of goals, and one of them is furthering our wedding stationery business - because 2014 is our year to shine. We've never done anything like this before, but we decided to take the leap and show all you lovely Durban people what Ruby + Swallow is all about. We'll be displaying some of our best wedding stationery work thus far, and we can't wait to see the response we receive. With Ruby + Swallow, we aim to keep all our designs on trend. Our point of difference from other companies is that we focus on tailoring stationery to each client's specific budget and aim for a strong focus on customer service. Whatever a client's budget is, we aim to pay attention to all details and create stationery that they absolutely love, going to the nth degree for all of them. Ruby + Swallow truly is our 'baby', a business that we're so fond of and truly passionate about! 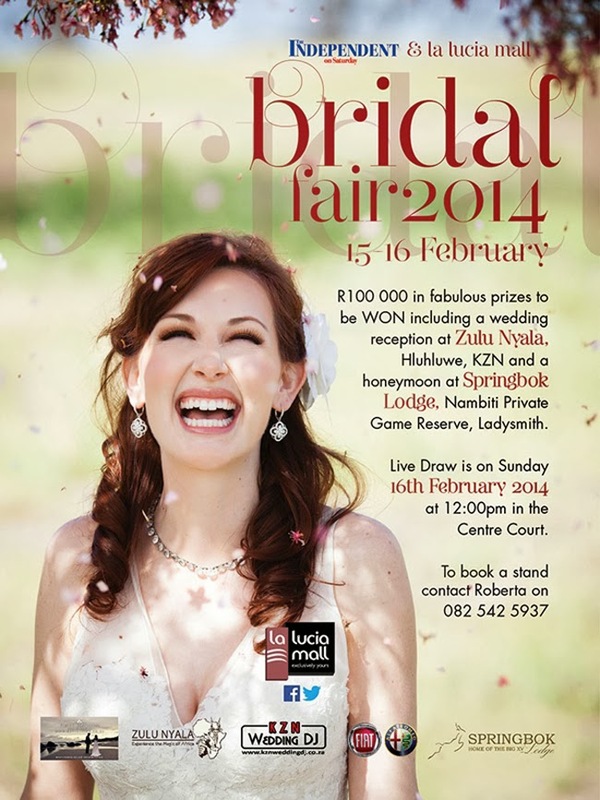 The La Lucia Bridal Fair takes places on the weekend of the 15th and 16th February 2014. There will be so many other local wedding vendors, including coordinators, photographers and venues, so if you're getting married (or you know someone who is), this is the perfect weekend to put into your diaries. Or if you'd just like to come along and say hello, we'd love that too!